A piece with two voices, treble and bass, that sounds very well with a string ensemble. Because of it is only for one part of violin, a precise work with the bow, the tuning and the dynamics can be established with the group. In the same way for the cello : style of continuo. Of course, a version for violin and cello duet is possible. Niveau premier cycle (2° ou 3° année). Cf. 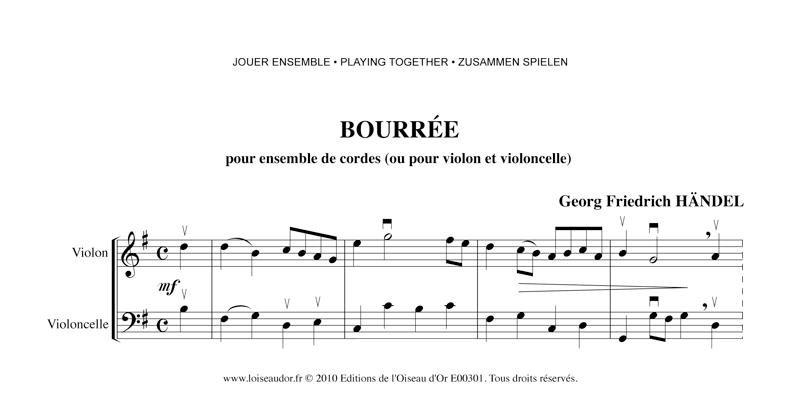 also in the same collection to the "Bourrée" of W.F. Bach that offers the same possibilities with a more difficult level. 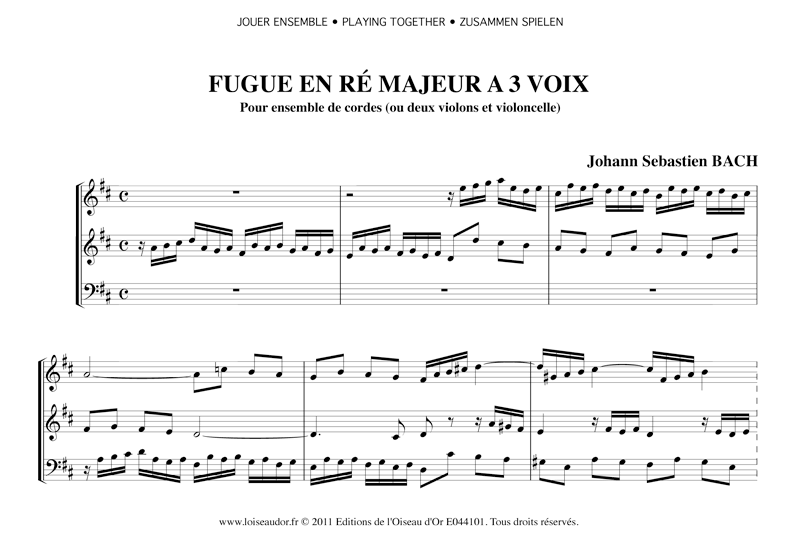 3 pages : the download includes the score (1 page) and one separated parts for each instrument. (2 pages).